NorthDelaWHEREHappening.com unveils “The Happening List” across New Castle County, North Delaware, joining 6 Greater Philadelphia Regional Happening sites within the Happenings Media Network. WILMINGTON, Del. - Jan. 12, 2015 - PRLog -- NorthDelaWHEREHappening.com joins the Happenings Media Network and 6 Greater Philadelphia Regional Happening sites, kicking off 2015 in a big way, unveiling The Happening List contest. GET LISTED. From Smyrna to Claymont, Hockessin to Delaware City, and all points in between, hundreds of LOCAL North Delaware businesses, people, places, events and organizations will be nominated for the 2015 Happening List awards, and LOCALS will have the chance to VOTE for their favorite Nominees from January 16, 2014 until February 28, 2015.Nominees must be located in New Castle County, Delaware. 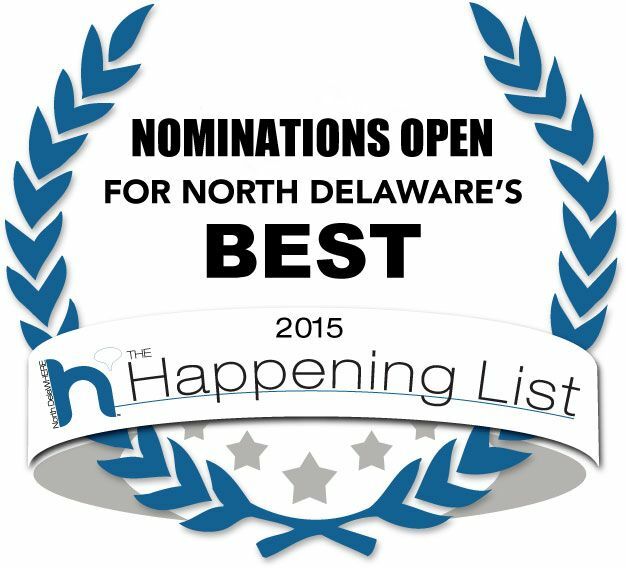 CENTRIC TO NEW CASTLE COUNTY, The Happening List (http://northdelawhere.happeningmag.com/happeninglist) contest features 11 primary groups and 170+ localized people's choice categories. The 11 Groups include Beauty & Wellness, Everything North DelaWHERE, Food & Drink, Home, Kids, People, Pets, Places, Retail, Services and Wedding. As for the 170+ categories, well all the usual categories within are listed like best -- Italian, Bakery, Dance Studio, Hair Salon, Golf Course, Massage, Home Improvement, DJ, etc., with a few unique categories to New Castle County(North Delaware) such as Crabs, Beach, Best Place to Work and Famous North Delawarean and the must haves that connect fans with a sign of the digital times like Twitter Personality and Wi-Fi Spot. And you won’t want to miss those most intriguing and borderline impish categories like People Watching, Bang for your Buck, Mom Spot, On the Border and Best Kept Secret. NEW CATEGORIES TO 2015 include Food & Drink - Ice Cream, Water Ice and Frozen Yogurt and Services- Graphic/Web Design. Nominations are OPEN in North Delaware, New Castle County. GET LISTED! Winners will be announced later this spring and honored at a celebratory bash this summer.